More than half a million people visited Bury St Edmunds town centre in August – the first time numbers have broken the 500,000 barrier since the Business Improvement District (BID) started collecting the data. Footfall figures commissioned by the BID organisation Ourburystedmunds showed 506,686 people entered the town centre via Abbeygate Street during the month. The previous highest figure since the footfall camera was installed in 2012 was during last November, when 461,272 people were counted. The August 2016 figures are, on average, around 100,000 up on the month for the previous three years. 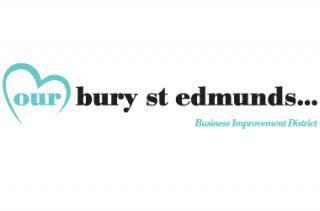 Chief Executive of Ourburystedmunds Mark Cordell said: “This is a tremendous boost for Bury St Edmunds and there are lots of factors that have contributed to it. We already know that our Food & Drink Festival over the Bank Holiday weekend was one of the busiest events we have organised, but there have been a lot of other things to encourage people into the town over the summer such as regular children’s activities at both the arc and the Cathedral and of course the popular Lark and Linnet trail. The figures also show that footfall for the year to date is up by more than two per cent on 2015. Across the UK as a whole figures are down by more than one and a half per cent and in East Anglia figures are around a percentage point down for the same period.